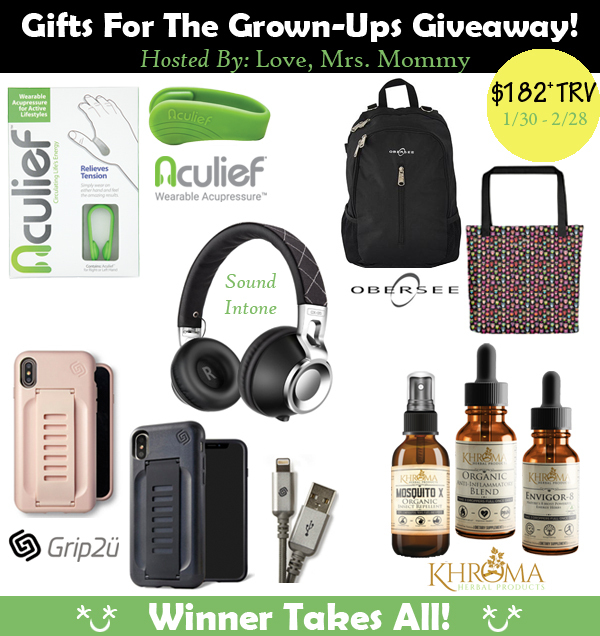 Love, Mrs. Mommy: Blogger Opp: Gifts For The Grown-ups Giveaway! $182+ in Prizes! Blogger Opp: Gifts For The Grown-ups Giveaway! $182+ in Prizes! Love, Mrs. Mommy is super excited to be hosting the Gifts For The Grown-Ups Giveaway! 1 lucky person is going to win ALL of these products - worth over $182! Plus, 3 out of the 5 products are a winner's choice option! This giveaway will be advertised on sponsor pages and more!